Lets Ride Bikes! | You’re really doggin’ it today. Summer Tour Day 7 - Agony is such sweet bliss. I arrive beside Andrew on the road as I have many times. He has pulled over to wait for me to catch up. And there you have it. The conversation I have in my head everyday about how much slower I am than Andrew came to life. I try really hard to keep up and it just doesn’t happen. There’s a few things at play. He’s a man and I’m a woman; men are faster. He’s riding on 29 inch wheels and I’m riding on 26 inch. And he likes to go fast and I like to ride my bike and enjoy the views not worrying about pace. Having said that Andrew is incredibly patient and I’m grateful. But somehow to hear it today with a declaration of “his” speed I was left feeling really deflated. So does that mean our posted speeds don’t include my riding? Who knows. I just know that I wish I could go faster. And was I actually going slower? In other news it was a nice ride today. We stayed at a Warm Showers last night with our host Linda and her family in Kamloops. She was great to chat with and wow has she ever covered a lot of miles on her bike. It’s always nice to meet someone who loves biking as much as us and loves to share it. 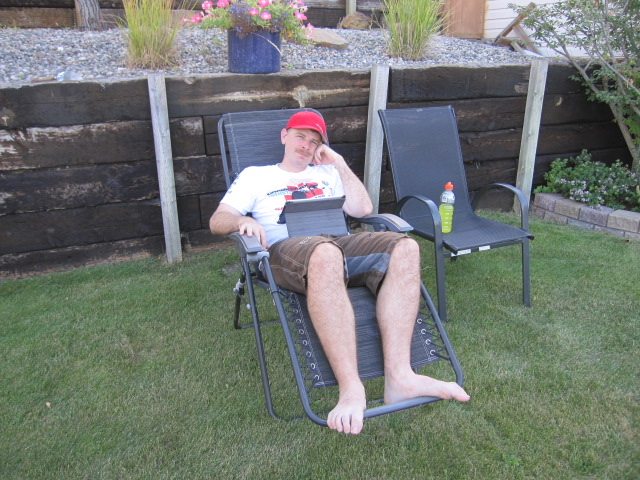 Andrew relaxing in Linda’s backyard. It started out on a busier highway with trucks that don’t like to share but then moved onto a great farm road for a really long time. Some of it wasn’t paved but certainly rideable. The lack of traffic was awesome. 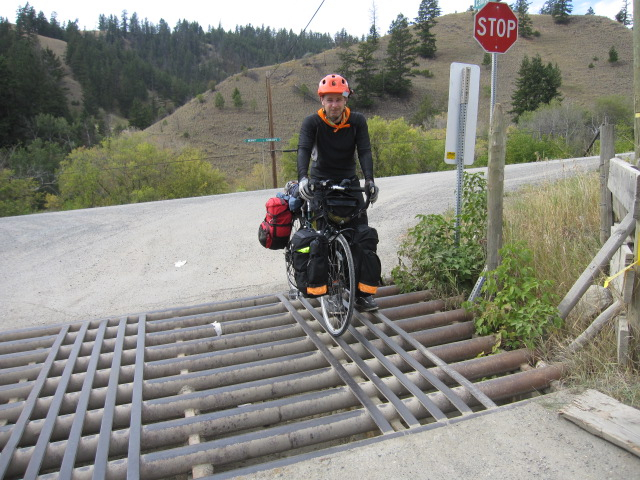 Andrew crossing a cattle guard on the farm road we took. We went through a good passing thunder shower and took cover in the trees for about 30 minutes. That was kind of fun. 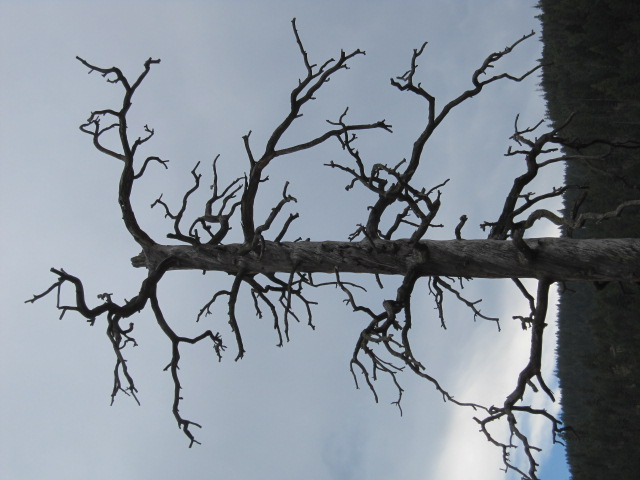 A lot of the trees in the area look like this. This is really the only thing that stood out for me in terms of scenery. On previous days I haven’t posted as Andrew has been covering most of it and only having one iPad between the two of us means I don’t get to use it. I’m sure I had some fun perspectives of our days riding but Andrew has covered it pretty well. In spite of my deflated riding spirits today he is still a great riding partner.